So you might find it a little unexpected then that our subject here is a children’s book. 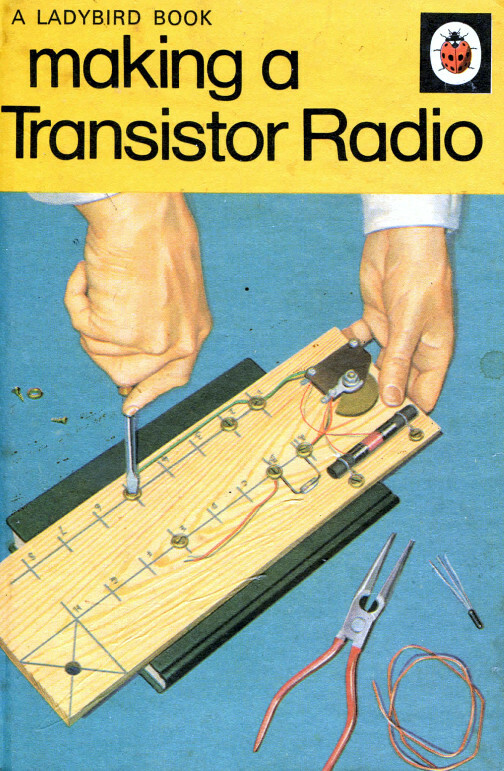 Making A Transistor Radio, by [George Dobbs, G3RJV] is one of the huge series of books published in the UK under the Ladybird imprint that were a staple of British childhoods for a large part of the twentieth century. These slim volumes in a distinctive 7″ by 4.5″ (180 x 115 mm) hard cover format were published on a huge range of subjects, and contained well written and informative text paired with illustrations that often came from the foremost artists of the day. 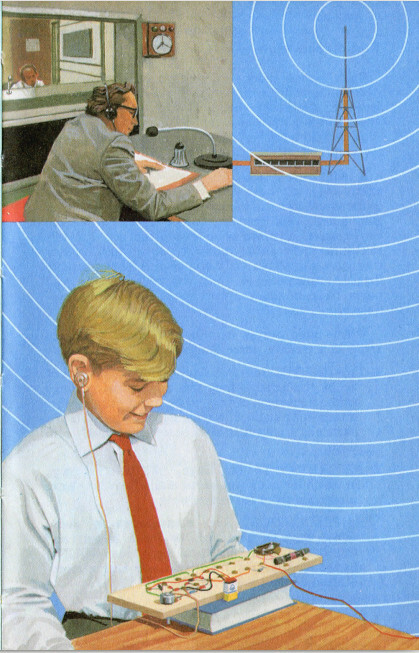 This one was published at the start of the 1970s when Ladybird books were in their heyday, and has the simple objective of taking the reader through the construction of a simple three transistor radio. It’s a book you must read not because it is a seminal work in the vein of Horrowitz and Hill, but because it is the book that will have provided the first introduction to electronics for many people whose path took them from this humble start into taking the subject up as a career. Including me as it happens, I received my copy in about 1979, and never looked back. A contemporary picture of a 1970s child. When you open the book, the first thing you see sets the tone, for there is a guide to soldering on the inside of the front cover. This is an optional construction method, but it is presented in a style that does not talk down to the reader. You are here to learn about electronics, not to be reminded that you are a child. 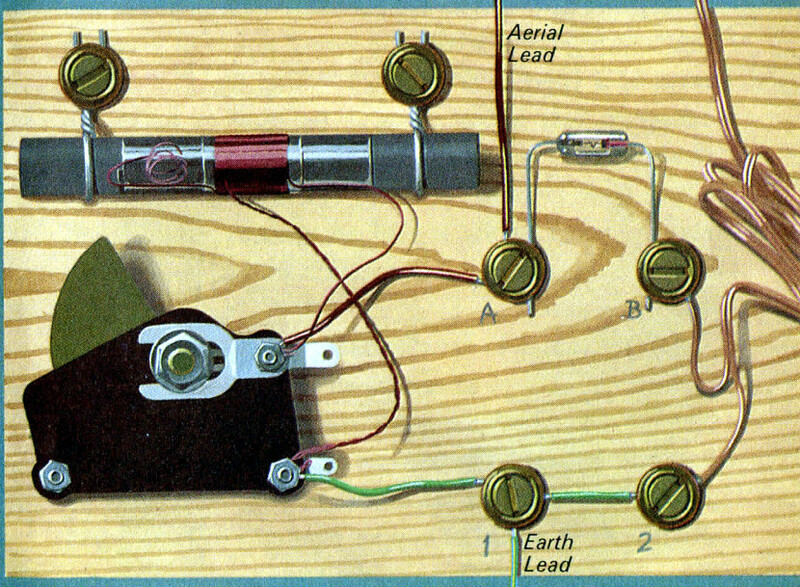 Past the title page, and the you are introduced to radio shown a block diagram of a receiver, and then simple circuitry with a torch (flashlight) battery and bulb as a first example. You are then launched into your first radio circuitry, first with a tuned circuit and then with the addition of a germanium point-contact diode and earpiece, a simple crystal set. One of the first illustrations shows a young boy wearing a shirt and tie, typical of the slightly idealised world of children’s’ books of the era. This was the 1970s, just how many boys would have been dressed like that, really! Despite the introduction to soldering inside the cover, the signature construction method used in the book is the use of woodscrews and screwcups on a wooden baseboard. The reader is introduced to these, and the tools the might have to master, before being shown the measurements for the board. With this complete, we are ready for our first construction, the crystal set with its coil wound on a ferrite rod. My first radio. In fact, my first electronic circuit. It is easy to believe these days that children are shielded from anything that might be remotely practical, for fear that they might hurt themselves. Fortunately the ethos of this book has its roots in a far more can-do era, and an action such as fracturing a ferrite rod to create the 3″ (75mm) length required is taken in its stride. Again, the reader is not talked down to, being introduced to all the useful things you need to know if you are to maintain an interest in radio. Few other children’s books deal with the topic of standard wire gauges. Once constructed, the crystal set and its associated aerial (antenna) and earth would have given the 1970s child an instant result, as over most of the more populous parts of the British mainland they would have easily received the strongest AM signal, BBC Radio 2. A crystal set is hardly selective, so it’s quite likely that no matter where it was tuned it would still pick up Radio 2. Still, the sense of achievement at having pulled a signal out of thin air would have been very strong. As an exercise the book takes a brief diversion into home-made radios as created by WW2 prisoners of war with a detector made from a piece of coke. The book then adds amplification to the crystal set in a series of stages which culminate in driving a small loudspeaker. This section is more than simply the stages of amplifier construction though, because while it takes the reader through those steps it is also a very basic primer on electronic components and transistor circuits. The amplifier is a very old-fashioned, single-ended design with an output transformer. The transistors in question are the now-archaic germanium PNP devices that had probably already been superseded by the early 1970s, but the principles of biasing and transistor circuitry are universal to all bipolar circuits. And the introduction to resistors with the resistor colour code is something that stays with a young future electronic engineer throughout their career. Finally, the reader is shown a regenerative front end for their radio that replaces the crystal set. The operation of regeneration is explained, new components are introduced, and the construction is laid out. There follows a guide to using the radio, and finally a page on finishing its case with a mounting for both speaker and battery. The final receiver might not have been as good as its commercial superhetrodyne equivalent, but it would have provided acceptable performance to receive most strong AM stations. This book has only 50 pages, and of those, half are composed of pictures and diagrams. Within this meagre canvas the author manages to not only guide the reader through the construction of a working radio receiver, but to also lay the seeds of an understanding of solid state electronics. Topics such as the resistor colour code or transistor biasing are part of the early syllabus of a first-year electronic engineering course, yet here we find them presented in a children’s book in a format that a younger reader would understand. You are reading this review because my career as an electronic engineer has its roots in this book, it would be interesting to know how many other readers will tell the same story. 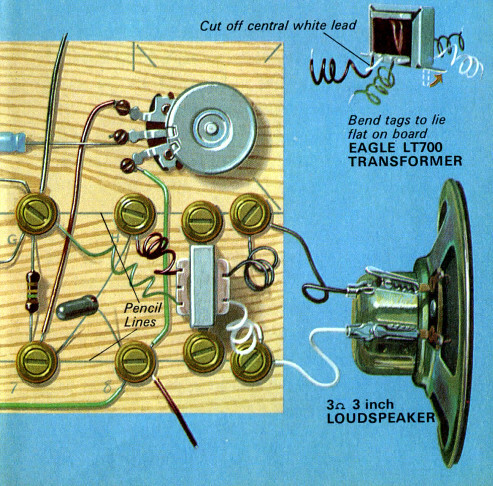 Making A Transistor Radio was published in 1972, and appeared as a second edition in Ladybird’s Learnabout series at the end of the decade. Some of the devices it uses may well have been out of production by the end of its print run; even in 1979 it proved difficult to source an OC44 and we had to use an AF117 instead. The book is now long out of print, so your best bet if you want to read it yourself is to do a Google search on its title for a PDF, or to scour second-hand booksellers. There is a copy on the Internet Archive, though it has some missing pages. The book’s author, [George Dobbs, G3RJV], continues to be a prolific writer and source of radio projects. As founder of the G-QRP Club, he has been very active in furthering the cause of low-power amateur radio. It would be interesting to see how easily a contemporary version of the book could be created, with silicon transistors, Schottky signal diodes, and a polyvaricon to replace the Jackson Dilecon variable capacitor. Or perhaps an AM radio is no longer enough to capture the imagination of a child. Ladybird stopped producing children’s books in this format in 1999, though they have recently re-emerged in a humorous form aimed at adults. 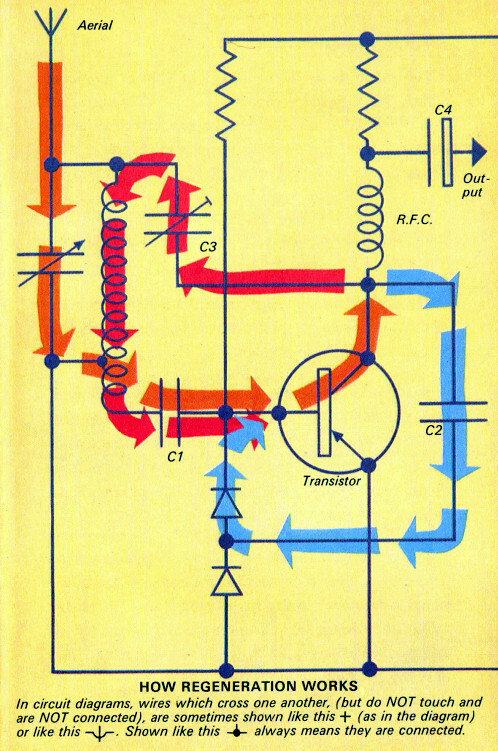 If you were introduced to electronics by this book, let us know in the comments. Do you still have your radio? If there are any other similar books that made the same mark for non-Brits, we’d love to hear about them. Maybe in the UK, but not here in Denmark. I am a child of the sixties, and I never wore a tie, and neither did any of my friends. Besides that, I still got at similar Danish book, called “Experimenting with transistors and funny electronics” – printed in 1965! In 1970, I think I assumed the boys in the UK did wear white shirts and ties. I’m not sure where I got that impression, maybe movies where the kids wore uniforms to school. We did, but only to school. When you got home you’d change into something a bit less drone-like. I remember this book! We had a copy in my class when I was 10! I was probably the only kid who actually read it. I didn’t know any better, so I didn’t realise that red-spot transistors and germanium diodes were long obsolete by the late 1980s. Or have much of a clue where I’d get them from anyway. Still I’m sure some of the theory hung around somewhere in my brain. I can still tie my tie asleep, hungover, you name it. And the school uniform was a dead giveaway when I skipped out of school to catch the bus to Belfast to buy components on weekday afternoons! I’m trying to work out what your comment is about? This is an English book published in the 70’s and yes, lots of boys in England would of dressed like that, particularly at school. In Denmark of course things would of been different because, well that would be Danmark! I’m pleased to hear you found a similar book in Denmark, but because things are different in different countries, that is not an excuse to be critical of how people dress in different national ways. I, too, was a child of the 60s. Wore a tie to (private) school, it was part of the uniform, but not at home. 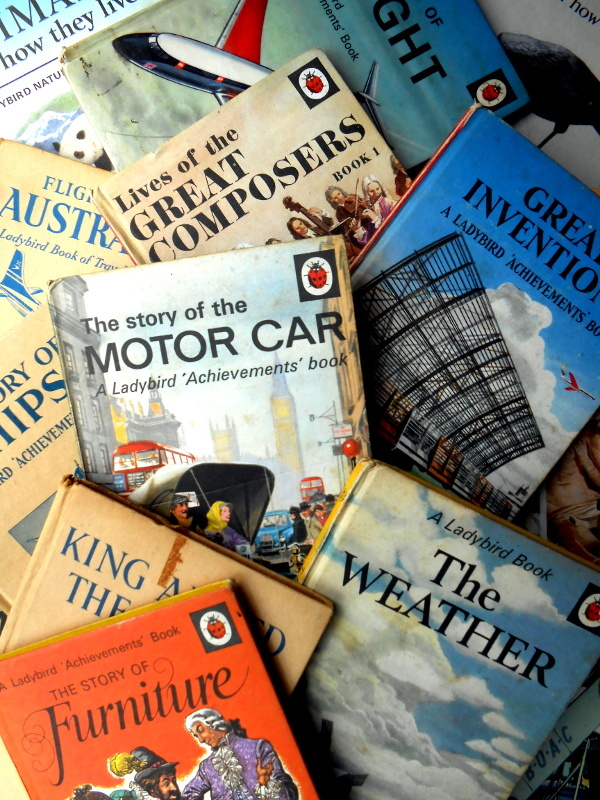 I’ve rattled on about regenerative receivers and my 50-in-1 electronics set elsewhere.My very FIRST radio was a crystal set (Remco Radiocraft crystal radio) – which was a father-son project, and provided the same sort of initial attraction into the field as that Ladybird book. Thanks Dad. Likewise here, with credit similarly going to my own Dad. I think I was 9 at the time, and he taught me how to solder while building the crystal radio. With that one, small project and a bit of his time, I was left with a lifelong love for electronics and a skill that I have used ever since. I miss woolworths, I remember dying just a little when they all closed down. For me it was the Usborne Guide to Audio and Radio, which also featured a build-it-yourself radio. This was a bit later (mid 1980s) and I seem to remember the design used a ZN414. Construction was on Veroboard and you had to wind your own ferrite rod aerial here as well. I probably still have a copy of it somewhere. This book was certainly pretty key in driving my early interest in electronics (and later amateur radio), along with the various computer books that Usborne recently released as PDFs. In Eastern Europe ex-communist countries there are such books for sale at open markets, except they are the translated versions of their Russian (Soviet Union) sources. Possibly translated from these UK books presented here. And during those times since 2nd grade in school, all the boys were supposed to wear white shirts and ties – as a proper conduit of any young pioneer of the communist revolution. Covers were almost the same but inside drawings were black and white. And what is interesting – these books appear to be published at the end of the ’50s and they talk about vacuum tube technology, but they are published in the same style. Transistor books appeared at the end of the ’60s. I got this book (which I still have, and now show to my university students) when I my family spent my Grade 3 year in Scotland in 1973-74. Definitely was the start of my interest in electronic tinkering. I say that this book is a must read! This was actually the first technical book I bought for myself. I was 11 and my school had a book savings scheme. I saved 20p a each week for a couple of months to buy it. Took it home and then spent the weekend with my father wandering surplus stores and buying / building the parts. After many false starts and learning exercises (BANG!) I built a working regenerative AM radio and learned about electromagnetics, semiconductors & much to much to itemize. It is now 37 years later and I’ve worked in wound component design, IC design, telecommunications & now run a web dev company. But on the side I still hack analog and digital circuits, sometimes they even work. Just few days ago I run out of solderless breadboards. I remembered that back in the day screws were sometimes used as connection points, so I connected my circuit using wood screws (with rounded heads and flat underside) on plywood board. It worked quite well with screw heads pressing the wires against the plywood. Components can be easily replaced. I would not recommend this scheme for permanent installations, but for testing with few components it is acceptable. There is a big dump of Usborne books in the archive too, but I’ve not had time to sift through it yet. I was probably about 8 when I got my copy in the early Seventies. I get powerful memories, looking at those pictures above, of happy days starting to learn electronics through building crystal sets. My brother and I got large reels of enamelled copper wire to string out to the trees in the garden for aerials. The book is now in the loft, rather shabby and written on, in my childish scrawl. For me the books that solidified my interest in electronics were the Engineer’s Mini Notebook series by Forrest Mims. Amazing books. I have the full set of them, but they are the newer reprints. I only have one that has survived since my youth. There’ a name I haven’t seen for a while. I grew up on QRP articles by the Reverend Dobbs in Practical Wireless magazine in the UK. I’d be tempted to find a copy of this based on his name alone! Like so many others this book was my introduction to electronics, I built this radio (screws and cup washers into wood and all) with my Dad over many great binding evenings. I still have the radio, just couldn’t bear to dismantle it now. Now I spend time with my sons building things with the Raspberry Pi, I hope they are inspired by the experience as I was. What this article brings back most strongly is the use of wood for my early circuits. An offcut of plywood was the start for many of my preteen projects. Plywood, assorted nails and screws, tinfoil and a small box of precious components pulled from dead radios. Happy days. Ties? For school only. Would be great to revise the design today so that it works with an easily obtainable BOM. Actually, I don’t think that Horowitz and Hill “The Art of Electronics” is considered a “seminal” book. Something like Mead and Conway “Introduction to VLSI System” probably is. I still have this book stored away. I built the radio and being a stickler for detail, the bored was as exact a copy of the one in th book as myself and my father could manage. I still have that lovely variable capacotor in another radio I built later on, sadly my crytsal earpiece eventually got broken. This is the origin of ‘breadboard’ – literally built on a wooden bread-board (if your mum would let you!). Built many of these in my youth.